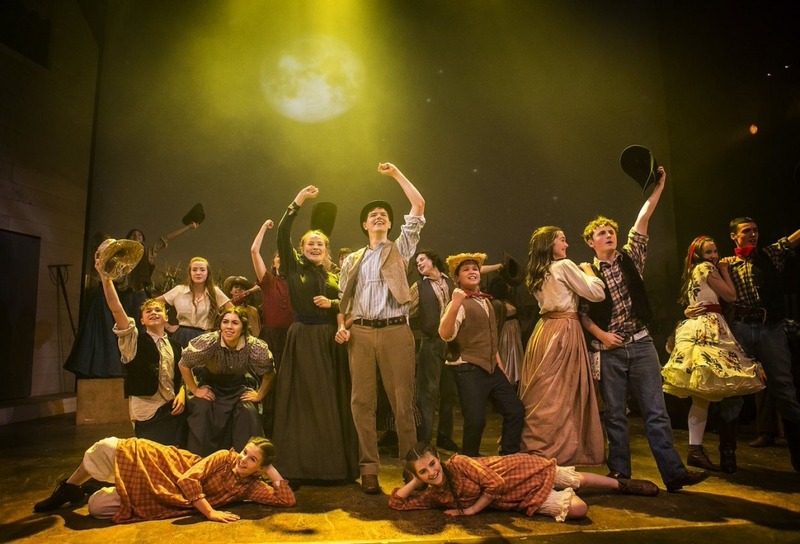 Curve Young Musical Theatre Company present: Oklahoma! “Our 40-strong cast from Curve’s Young Musical Theatre Company take you on a journey of love and heartache, friendship and conflict through this timeless musical! I am very excited to be taking on the role of Assistant Director for CYC’s production of ‘Oklahoma!’. Rehearsals start in August and the show goes up for two nights in October. What a spectacular show! Every performance was sold out and the cast received a standing ovation on closing night. I was blown away by the incredible performances and immensely proud of the entire cast. Sarah Ingram and Mel Knott did a phenomenal job creating such a wonderful production and I was honoured to have been a part of it. The large cast never put a foot wrong, sing with gusto and dance up a storm. https://kieranvyas.co.uk/wp-content/uploads/2017/07/Oklahoma.jpg 817 1200 Kieran Vyas https://kieranvyas.co.uk/wp-content/uploads/2019/03/Logo-Colour-1.png Kieran Vyas2017-07-15 11:03:552017-10-20 11:05:19Curve Young Musical Theatre Company present: Oklahoma!